Sony Pictures Networks India (SPN) has appointed Manu Wadhwa as Chief Human Resource Officer (CHRO) for the network. In her last assignment, Manu was associated with Coca-Cola, as the Head of Human Resources - India and South West Asia. With over two decades of experience in the human resources function across various industries and countries, Manu has piloted workplace and people agenda of globally dynamic organizations like GE and American Express. Her expertise lies in Organization Design & Effectiveness, Talent & Development, HR Transformation, Change and Digital Innovation. 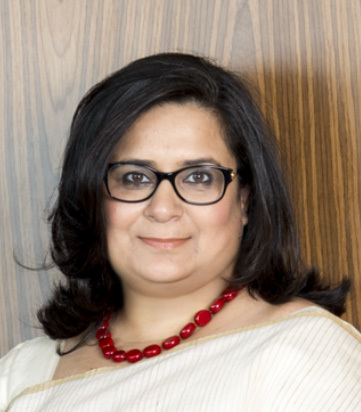 Interestingly, she started her career in 1996 in Tata Unisys as a financial analyst. She is a member of the Confederation of Indian Industry (CII) – National Leadership & HR Committee, Society for Human Resources Management (SHRM) – Asia Pacific Advisory Board, Chandigarh University Corporate Advisory Board and Jombay Think Tank Forum. She holds a Master’s from SCMHRD, Pune and is a graduate of the GE Human Resources Leadership Program (#HRLP). SPN has several channels including Sony Entertainment Television (SET and SET HD), one of India's leading Hindi general entertainment television channels; MAX, India's premium Hindi movies and special events channel; MAX 2, another Hindi movie channel showcasing great India Cinema; MAX HD, a high definition Hindi movie channel airing premium quality films; WAH, the FTA channel for Hindi movies; SAB and SAB HD the family-oriented Hindi comedy entertainment channels; PAL, a genre leader in rural Hindi speaking markets (HSM) showcasing the best of Hindi general entertainment and Hindi movies from SPN’s content library; PIX and PIX HD, the English movie channels; AXN and AXN HD, the channels showcasing the best in Reality, Entertainment and Drama; Sony BBC Earth and Sony BBC Earth HD, the premium factual entertainment channels, Sony AATH, the Bangla entertainment channel; MIX a refreshing Hindi music channel; YAY!, the kids entertainment channel; sports entertainment channels – SONY SIX, SONY SIX HD, SONY ESPN, SONY ESPN HD, SONY TEN 1,?SONY TEN 1 HD, SONY TEN 2, SONY TEN 2 HD, SONY TEN 3, SONY TEN 3 HD; Sony ???? ?, the Marathi general entertainment channel;?SonyLIV - the digital entertainment VOD platform; SPN Productions, the networks’ film production arm and StudioNEXT the independent production venture for original content and IPs for TV and Digital media. SPN reaches out to over 700 million viewers in India and is available in 167 countries. The network is recognized as an employer of choice within and outside the media industry. SPN is a recipient of several awards, including the ‘Aon Best Employers India’ Award in recognition of SPN’s unique workplace culture and exceptional people practices, consistently ranking amongst India’s Top 10 Companies with Best Health & Wellness Practices by SHRM & CGP Partners, listed by Working Mother & AVTAR as one of the 100 Best Companies for Women in India and adjudged one of India’s Great Workplaces by the Great Place To Work® Institute.